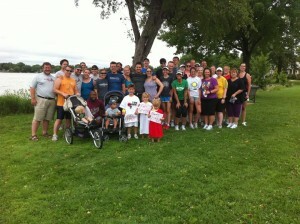 Season 3 : A Special Gomernouncement: The 2nd Annual Gomer Group Run! Download the latest special here! The guys are here with a little announcement: one month from now is the Second Annual Gomer Group Run! Join us on July 16, 2011 for a time of fun, food, fellowship, and of course, running! Last year’s Gomer Run was a blast! Just wanted to give you a heads up so you can put it on your calendar! See you Tuesday with the Season 3 Finale! Happy Running! Previous PostSeason 3 : Episode 13 – Race in Review (or: Marathons are super fricking hard)Next PostSeason 3 : Episode 13 Part II – Did we fail? Are you going to have virtual runners this year? I’d like to be a part, but there’s the small matter of an ocean between us.